We’re always busy cleaning carpet all over Brisbane, over the past few weeks we’ve had to treat a number of damp, stained carpets. This article aims to help you do the best you can before calling in a professional carpet cleaner. Damp carpets are not only unsightly but are a serious danger to the health o anyone exposed to them. When left for too long, a damp carpet will grow fungus, mould and bacteria; which isn’t pleasant to live with – to say the least. When you find damp in your carpet, you will need to clean it as soon as possible. A damp carpet is a perfect home for fungus and bacteria. It’s during this wet weather when damp areas are more likely to develop, it might be worth yout while doing a damp check around your home now, and every few of weeks over the autumn & winter months. Damp carpets are most likely to appear in places like under a faulty radiator, in a cellar or next to a window or door that wasn’t closed properly before the heavy rain. There are a couple of options for dealing with damp carpets. Of course, you can contact a professional Brisbane carpet cleaning company like Sun Dry, who will remove the all of the dampness, we’ll get rid of any stains and leave the carpet bacteria and mold free, looking clean and damp free so that you don’t have to worry about any further problems. If you don’t have professional steam-cleaning as an option, you will need to do something yourself as soon as you see the damp. If you have a wet vacuum cleaner, then go over the damp spot to take out as much of the moisture as you can. If you don’t have a wet vacuum cleaner, then you can simply dab the damp area with towels until it’s feeling a slightly drier. We’ve created a 5 step process to do the best you can until you call in Sun Dry carpet cleaners. Remove as much water from the damp carpet as possible using a wet vacuum. Work in small sections at a time. Create a cleaning solution by filling a bucket with 1 pint of warm water, 1 tbsp. of distilled white vinegar and 1/4 cup of laundry detergent that does not contain bleach. Submerge a scrub brush into the suds and begin to scrub the carpet in a back-and-forth motion. Start at the area farthest away from the entrance and work toward it. Allow the carpet to air dry thoroughly. Point fans in the direction of the carpet and if its a warm, sunny day then open doors and windows to help the overall drying process. Use a dehumidifier in the same room as the damp carpet. 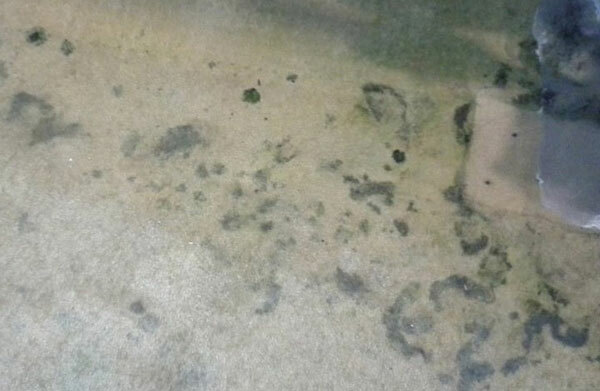 Mold spores thrive in these damp areas and can easily begin to grow and spread throughout damp carpet. Using the dehumidifier will also take the moisture out of the air and further inhibit further mold growth. Thoroughly vacuum the whole carpet, only, when it is completely dry. When it comes to restoring damp carpets – near enough is not good enough. Carpets are expensive to replace so don’t let them be ruined, call in the professionals from Sun Dry Carpet Cleaning & Pest Control Brisbane who can make sure the stains are treated properly with no lasting damage to your precious carpets.